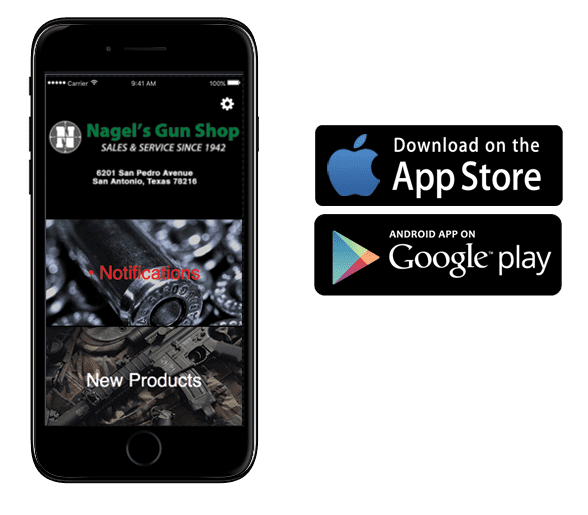 Nagel’s will sell the firearm on consignment at a price not lower than the price listed in the Purchase Order book; the Customer will be asked to authorize any price decrease alterations. Nagel’s will prepare and properly display the firearm to offer it maximum exposure based on the firearm. Nagel’s will exercise due care for the firearm but is not responsible for any scratches, dents or finish alterations incurred during our possession/ presentation of the firearm. Nagel’s asks that the Customer give us 30 days minimum to sell the firearm. The Customer may retrieve his/her property during business hours following the Federally Mandated Background Check. If a Customer retrieves his/ her Consignment firearm before the minimum 30 days, he/ she will be charged $25.00 per firearm for processing. In the event a Customer wishes to retrieve his firearm, Nagel’s asks a 24hr notice for consignment pickup. Multiple consignment retrievals may require additional time. Consignment Fees are 20% of the listed price in Nagel’s Purchase Order book. The Customer will receive a copy of this form. Following the sale of a consigned firearm, the Customer will be mailed a check approximately 2 weeks after the sale. This will allow us time to process the paperwork.